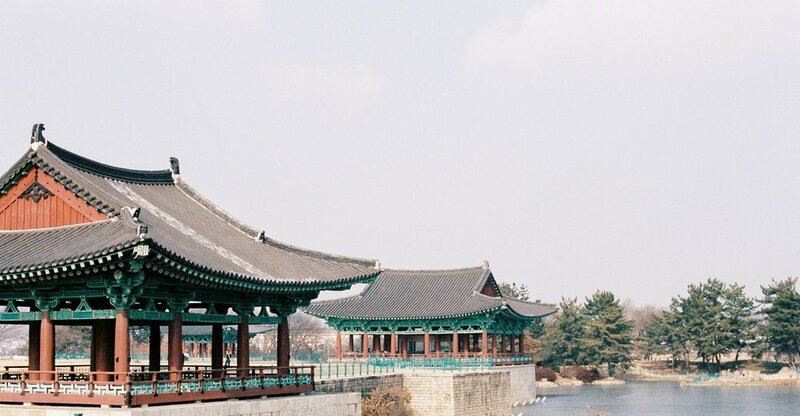 When I was in Gyeongju with my sister in Korea in December, we also visited the old palace complex of Anapji. It was a very cold but sunny lunch. 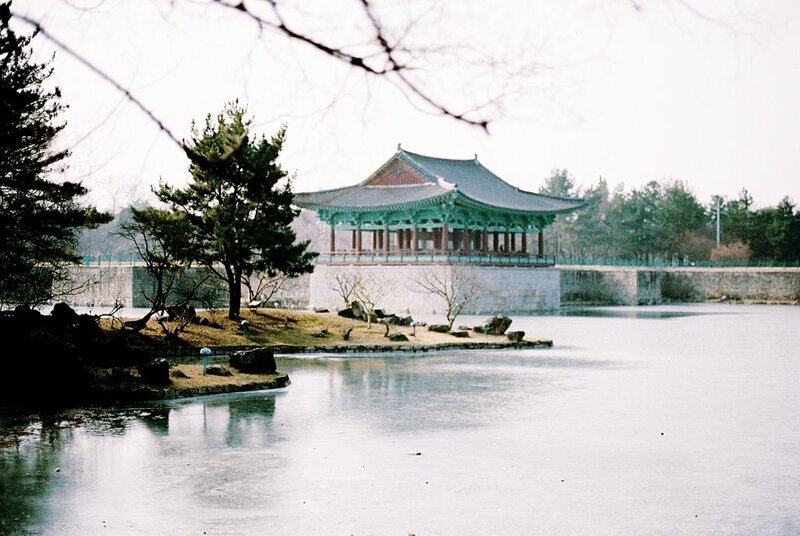 As befits a Korean palace complex, there is an artificial lake and close proximity to nature. Hills, bamboo groves, rock springs - and, of course, beautiful pagodas where guests have been welcomed. Anapji is no longer completely preserved, the buildings were all reconstructed - but you can see on the one picture, how big the plant must have been earlier. However, I found Anapji to be another great spot in Korea. 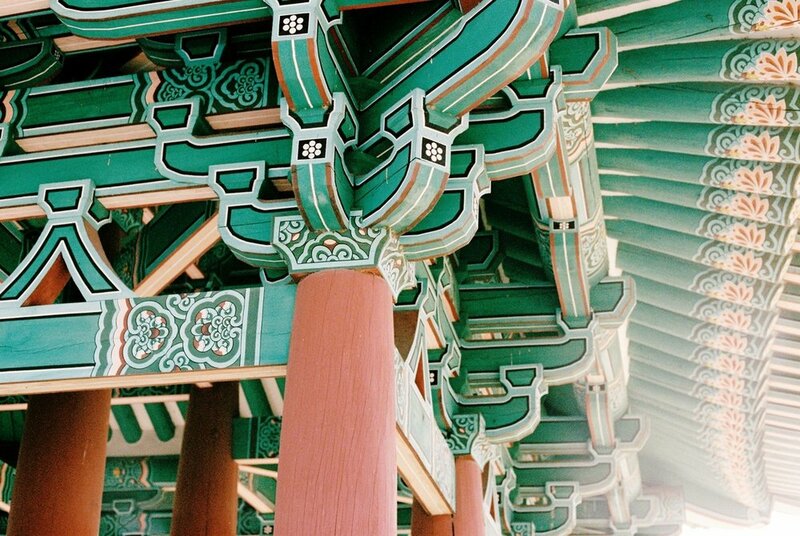 You can easily see in many places that culture and its preservation is very important to Koreans and is also practiced. Nevertheless, the visit of such sites should be an experience. Overall, it was again very visitor-friendly designed, clean, from speakers classic Korean music penetrated ... And even though we were with ten other guests in the large park. It was a crisp cold December day, as I said. Nevertheless, the guards were very happy and a nice woman helped us to buy tickets at the vending machine. This was the last post of my trip to Korea. I hope you liked the pictures.